ClearCorrect and Invisalign both are a series of clear, custom-fit, removable aligners that slowly realign teeth into the desired position. Fabricated impressions then are used to create a 3-D model of the teeth. Both are possible solutions to correcting problems such as crowded or spaced teeth, overbites, underbites and crooked (turned) teeth. ClearCorrect aligners offer enhanced clarity (meaning they’re virtually invisible) and are minimally invasive. They’re also resistant to clouding from wear. Both aligners are provided in sets, and periodic follow-up appointments with your dentist are required so he/she can check your progress. 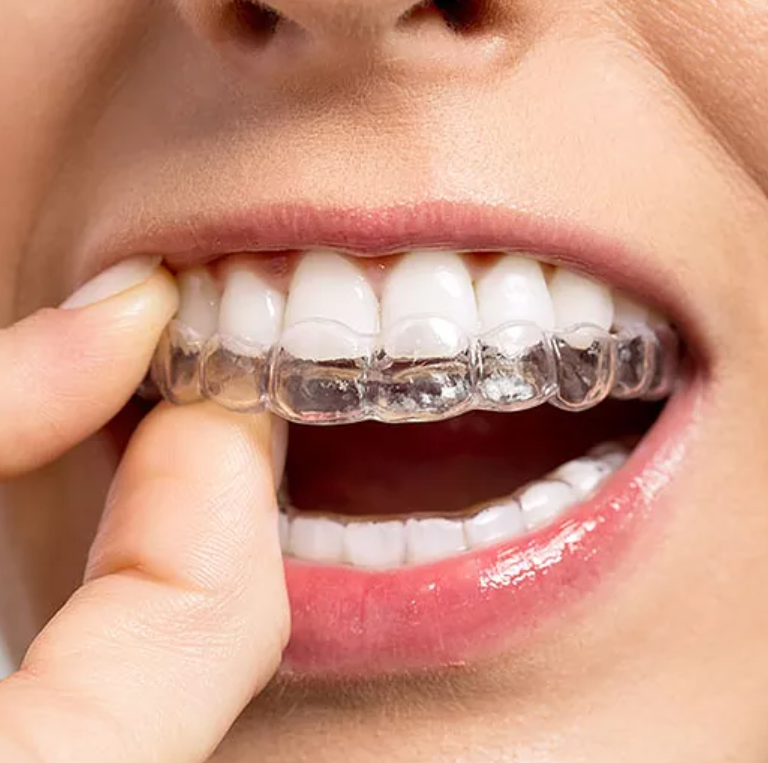 Invisalign requires 20 to 30 aligners for both the upper and lower teeth, and most adults complete their treatment within a year. ClearCorrect treatment for moderate cases requires 32 steps of treatment, which are delivered in eight phases. Minor cases require 12 steps of treatment, delivered in three phases. However, treatment times vary from one to two years, depending on the specific alignment problem. The average cost of ClearCorrect Limited treatment is approximately $2,500 to $3,500. The average cost of ClearCorrect Full treatment is approximately $4,000 to $5,500. Of course, treatment costs will vary depending on your specific needs. (The cost is similar to the cost of Invisalign.) Ask your dentist about whether your dental insurance covers ClearCorrect.